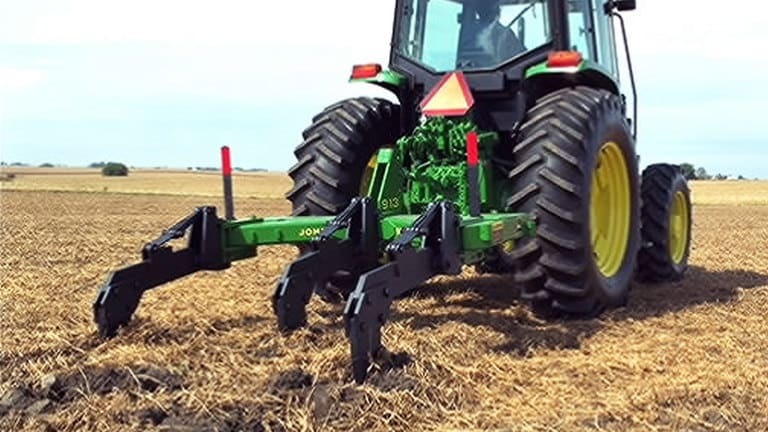 3-point hitch hookup is for Category 2 or 3N tractors. Gives maximum transport clearance and allows ripping to approximately 508 mm (20 in.) deep with the 838-mm (33-in.) standards. Enables ripping to a maximum depth of 584 mm (23 in.) deep with the 838-mm (33-in.) standards.